There is some slight color transfer around the front pockets. Some of the stitching on the back logo is coming undone, but it is NOT in danger of unravelling. 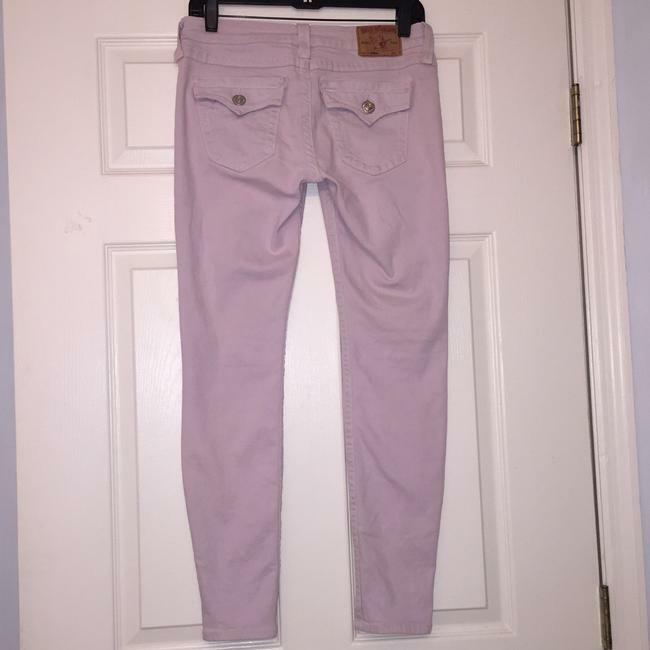 Really fun pastel lilac True Religion "serena" skinny legging/jeans. 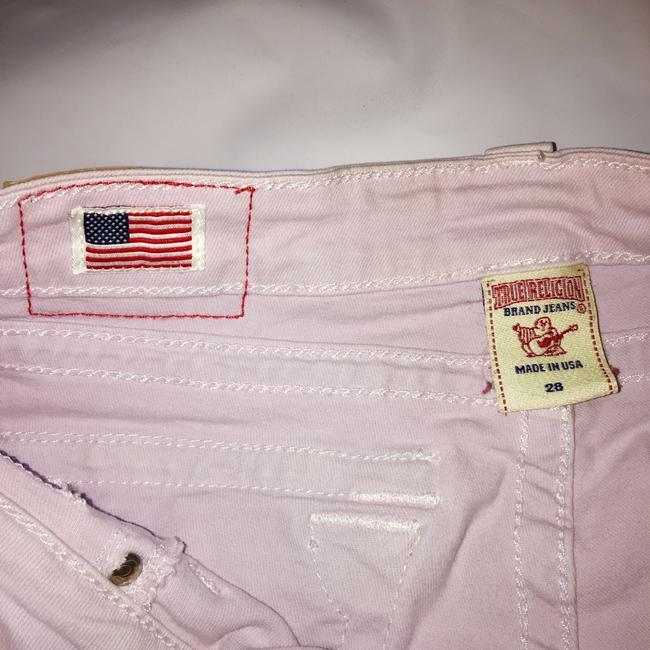 They are made in the USA, and an older style of True Religions that I believe are of better quality. The fabric is thick with a good amount of stretch. I have never machine dried these pants; only air dried. These jeans feel high quality and are great for spring or even the Holidays. The true light lilac color is hard to photograph, and it looks almost wight in certain lighting. These pants pair especially well with brown or black boots. 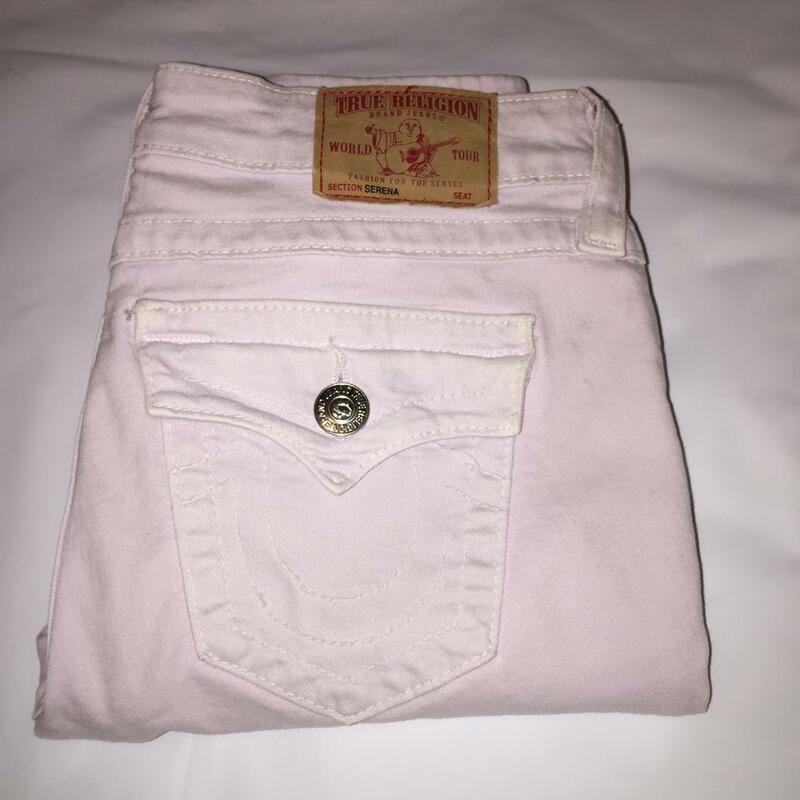 Since they are they are a super skinny legging fit, the front pockets are NOT REAL (stitched shut), however, the back pockets are fully functional.